Tom is a former intelligence officer in the United States Navy. He has extensive experience in maritime security issues, geopolitics, intelligence gathering and analysis, emergency management, and intergovernmental liaison work. In his 9 years of service Tom rose to the rank of Lieutenant and spent the majority of his time stationed overseas in Japan and Italy. While stationed at NAF Atsugi, Japan Tom was the intelligence officer for VAW-115, an E-2C Hawkeye squadron which deployed annually across the East Asian AOR onboard the USS George Washington (CVN-73). Through the intelligence work Tom did on this tour he gained extensive knowledge on complex issues regarding maritime security and geopolitical issues in the Far East. While in Japan Tom also held collateral duties as Anti-Terrorism/Force Protection Officer, Classified Material, Control Officer, Intelligence Operations Watch Officer, and Assistant Security Manager. Tom also took part in Operation Tomodachi, which involved assisting the Japanese government in their emergency response to the Tsunami and subsequent Fukushima nuclear reactor disaster of 2011. 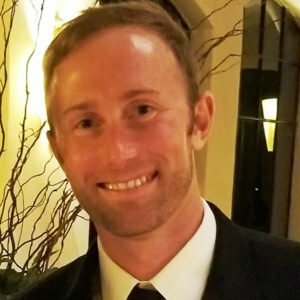 In Naples, Italy Tom was assigned to the Maritime Liaison Unit Europe and Africa as a liaison officer representing the U.S. Navy sixth fleet to the maritime shipping industry. In this capacity he met with maritime shipping representatives to engage in information sharing and devising way the U.S. navy can assist with commercial maritime operations. Tom also held collateral duties as Emergency Management Officer, Training Officer, and Command Duty Officer. Through these collateral duties and his Intelligence work Tom built strong working relationships with his counterparts, in NATO, the US State Department, and the Italian Government. Tom has received extensive training in geopolitical analysis and human intelligence gathering from the Office of Naval Intelligence, the Central Intelligence Agency, the US Army, and the Defense Intelligence Agency. He has also received emergency management and crisis response training from the US State Department, FEMA, USAID and the US Navy. Expertise: Maritime Security, Intelligence, Emergency Management, and Project Management. Liaison with multi-national government organizations and private industry. Provide consultancy services regarding maritime security, intelligence, threat posture, and emergency management. Maintained current awareness of maritime geopolitical issues in the Europe, Africa and Southwest Asia Area of Operations. Managed the training program for The US naval installation, NSA Naples Italy. Planed, developed, and evaluated military exercises that required a multitude of US, Italian, and NATO agencies to coordinate and practice responses to a myriad of threat contingencies. Established training requirements for NSA Naples. Organized and led board meetings to present and discuss training plans and results. Supervised the Emergency Management division of NSA Naples to include the Emergency Dispatch Center, installation CCTV monitoring, the Emergency Operations Center. Supervised over 30 Military, US Civilian, and Italian Personnel. Directed the hiring and assigning of all US and Italian civilian staff. Provided emergency management support for NATO, SIXTH Fleet, and over 8,000 people in the Italian area of operations. Worked in a liaison capacity building ties with local Italian and European counterparts. Officer in charge of the Squadron Intelligence Division. Led a team of 10 intelligence officers and specialists in the production of intelligence reports for leadership. Gave oral presentations of Power Point intelligence reports. Maintained current awareness of maritime geopolitical issues in the East Asia Area of Operations. Defense Strategic Debriefing Course, Jan-Feb2012. Information Dominance Warfare Officer Qualification, November 2010. Asymmetric Warfare: The Analysis of Armed Groups, July 2009.